Is my child ready for this show? LEARN ABOUT A SPECIFIC SHOW BY CLICKING ITS TITLE. The information we post on this page is continually updated as the show rehearses and prepares for performances. If you would like additional information, don't hesitate to contact us by phone or email. Children may be given props to use at certain times. There are times in the story where characters may feel troubled. This show is designed for children ages 0-5. The show is immersive and interactive (children are encouraged to help the characters complete their tasks). The show will start in the lobby and move through our building to the Copeland Studio Theatre. A smuggler points a gun at Mari, then pushes her Mamá violently on stage. Characters are grabbed by police during a raid. There are sounds of police sirens and different vehicles. There is a constant threat of the Cruz family being deported and separated throughout the play. Mamá goes missing and there is fear for what happened to her throughout the play. Mari is bullied at school. Tyler has a nightmare about his father’s tractor accident. Tyler references his grandfather’s death. Bullies from school bang on the door of the Cruz family’s trailer and throw things at it. Tío Felipe is arrested and spends time in jail. At one point, the Paquette family can’t find their grandmother. Tyler and Mari buy back her mother from smugglers. There is an emotional goodbye when the Cruz family moves. This show is based off of the book Return to Sender by Julia Alvarez. The performance is recommended for children in grades 3-8. The music becomes loud at points in the musical. There are sound and lighting effects while Sophie is magically transported to the North Pole in a box. Neighbors gossip about the Kringles. Chris throws a temper tantrum and destroys the decorations in the hotel lobby. Sophie sneaks into a big box in her Auntie’s apartment and is transported to the North Pole. She doesn’t know how to find her family or way back home. Sophie volunteers to go to the Land of Bad Boys and Girls down in the mines. 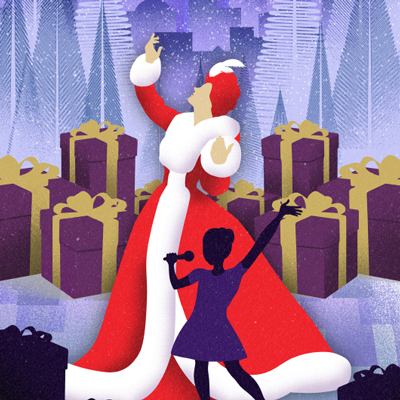 This musical is based on the book Auntie Claus by Elise Primavera, which is about the holiday, Christmas. There is no intermission. The show is recommended for children in grades PreK-3. There are references to violence in warfare, such as soldiers’ limbs being blown off, dead bodies floating in the river, and wounded soldiers. There are sounds of cannons and gunfire. There are several references to warfare, including injuries from war, miming of a wounded soldier being carried on a stretcher, and death. Wakeman writes a letter to her family, suggesting she may die. There is pressure for the female soldiers to hide their identity. The characters experience prejudice in the form of sexism and racism. Soldiers order bourbon at a bar. 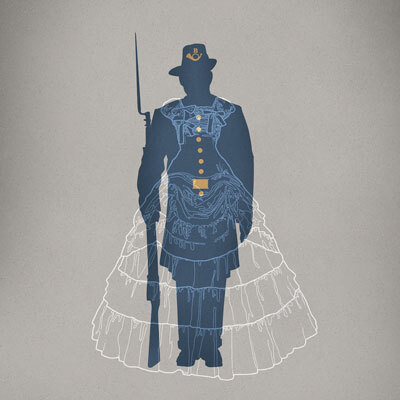 This performance is based on the true stories of women who secretly served in the Civil War. There is audience participation where the audience will share their opinions and vote as to whether Miss Wakeman’s true identity should be revealed. This performance is recommended for children in grades 5-8. “Jerk” and “stupid” are each used once. The story of Shakespeare’s Hamlet is playfully dramatized by the students for a school project, which mentions murder and violence. Christian leaves his parents to attend school faraway, which he is very anxious about. Christian faces cruelty from his Headmistress (teacher) and classmates. He also experiences classism. Students and the Headmistress have anxiety over passing tests. Princess Caroline experiences prejudice because she has acute muscular weakness and is in a wheelchair. Christian’s father dies and there is a scene at the graveyard after the funeral. There is a quick, playful reference to The Little Mermaid being similar to the Texas Chainsaw Massacre. There is a scene where characters joke about the King being “naked” (in reference to The Emperor’s New Clothes). 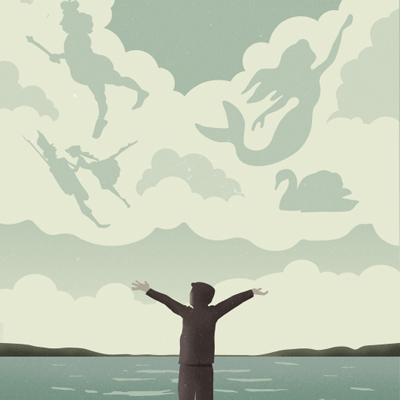 This musical is based on the childhood and life of the famous fairy tale author and storyteller, Hans Christian Andersen. This performance is recommended for children in grades 3-8. Children will be given props to use at certain times. Actors portray large, friendly teddy bears. A bird, bee, butterfly, and firefly visit and sometimes interact with audience members. Audience members break out into dance with the characters. Buddy Bear surprises Mama Bear. Throughout the show he doesn’t speak, but communicates through pantomime, movement, and facial expressions. Mama Bear hears sounds. She nervously opens up her picnic basket, which reveals three hiding mice. Ants destroy Mama Bear’s gifts of honey. She despairs. Buddy Bear becomes scared of different animal sounds he hears in the forest. The word “stupid” is used a few times. There is loud, rock music. Jimmy copies another student’s work in class and gets in trouble. In a moment of frustration and despair, Jimmy calls Pete’s bus stupid, which hurts its feelings. Pete can’t find Olive, a little girl, and worries. This musical is based off of the Pete the Cat series by Kimberly and James Dean. The performance is recommended for children in grades PreK-3.